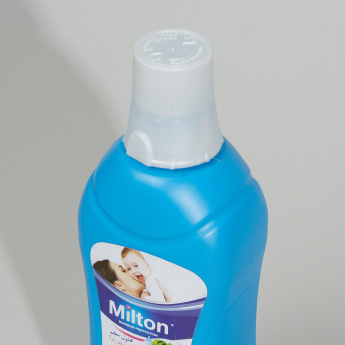 Keep diseases at bay with this sterilising fluid that has a phthalate-free formula. Quick and ease, the fluid kills up to 99.9% germs in just fifteen minutes. With a versatile utilisation, you can use it to sterilise anything from fruits and vegetables to household equipment.